I’ve been taking a lot of panoramic shot of Tompkins in the snow. 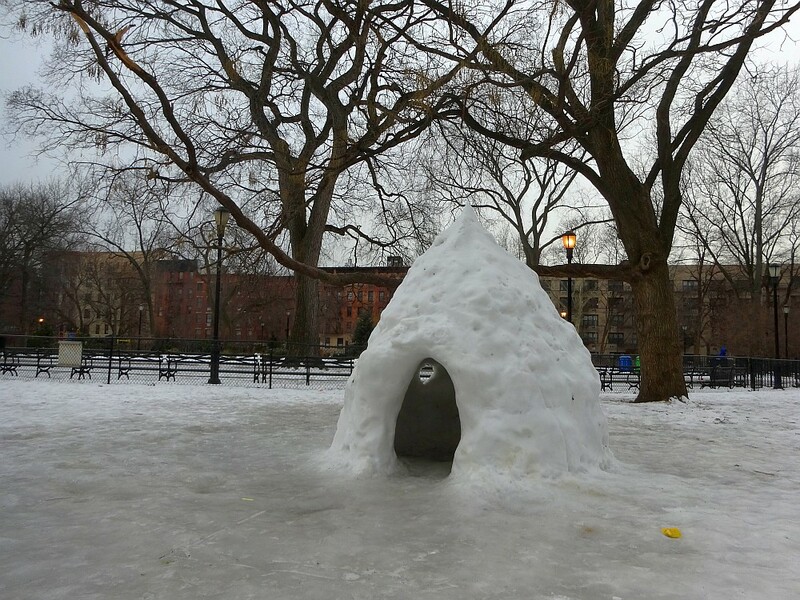 I was glad to see this igloo in the Central Lawn. Pano shot from the Steps of St. Brigid. Seeing all the tree branches naked has inspired me to name some of the trees. I’m calling the Honey Locust in the A Playground “Old Thorny”. Ballerina Elm in the Central Lawn.